All versions of Windows store the user documents in a dedicated folder called “My Documents” (for older versions up to Windows XP) or “Documents”. 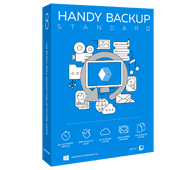 Handy Backup can automatically backup My Documents or Documents folder, and restore it again. 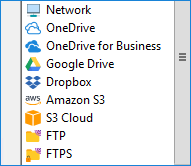 An online cloud including Google Drive, Dropbox, OneDrive, Box, Amazon S3, 4shared etc. Why to Backup Documents Automatically? You may continuously save copies of your Documents or My Documents folders for many reasons, including simple safekeeping data at another place than a local drive, providing shared access to these data from a cloud, creating an auto-updating FTP storage with crucial documents, and so on. Note: Handy Backup preserves native document formats in backup copies, unless you specify encrypting and/or compressing for these data. Therefore, you can open, browse, modify or even restore any document from a backup copy without a need for complete recovery of Documents folder! You can use all the possibilities provided by Handy backup to save a copy of your Documents folder to any other place than its typical position. Handy Backup provides you techniques of full, incremental, differential and mixed (which means a cycle of a full and some differential) backups. Each of these techniques saves some space on a backup storage and/or some job time to restore your Documents folder again. You can save copies of one dataset at the same place, marking them by versions and/or time stamps in backup folder names. You can also encrypt documents with a 128-bit BlowFish encrypting method, and compress the dataset into a ZIP archive. Schedule your task to repeat by a period from minutes to months. Set up a start on logon/logoff or run a task automatically when you will plug a USB device related to a task into a PC. Call other programs or batch files before or after a task. There are many options to run your task smoothly! The Standard edition has all instruments to back up Documents library or the My Documents folder, both locally and online, without any efforts or extra costs! Free 30-days trial version! How to Backup My Documents in Handy Backup? This is an instruction about how to backup My Documents folder using Handy Backup. Open Handy Backup. Create a new task with a button on a panel or by using a menu item. 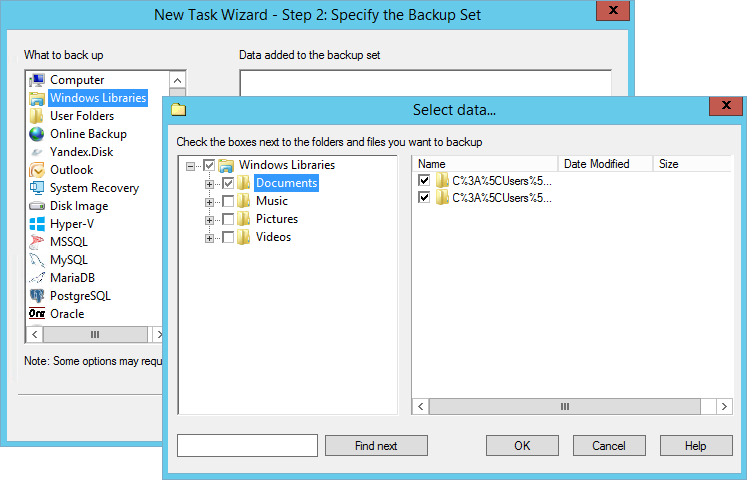 Select a backup task type. Proceed to Step 2 and select the “Windows Libraries” source. Double-click to it or click on the “Add” button to open the Libraries plug-in. Mark the “Documents” library on the left side of the window. Proceed to the Step 3. On a Step 3, select an appropriate container for storing your My Documents backup. 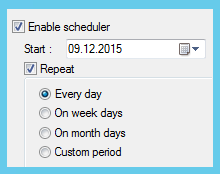 Continue creating your task including such settings as encryption, scheduling etc. Finally, give your task a name, e.g. “Backup Documents”. Finish the task wizard. That is all, and all you need now is to wait until a scheduled sequence occurs, or to run a task manually at any time you will want to back up Documents library. With Handy Backup, saving the Documents folder is a quick and simple way to keep your personal document collection intact from any perils at some selected vault!